You can’t get an entrepreneur visa approved without a solid business plan. Whether you’re an immigration attorney or you’re looking for one, we can help. Whether you’re seeking funding for your franchise or looking to expand, we can help. 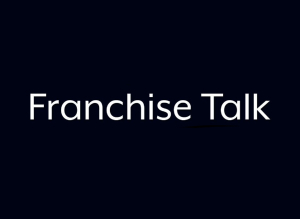 We’ve created thousands of franchise business plans for gyms, fast food restaurants, convenience stores--you name it. We’ve created more than 16,000 business plans for everything from small brick-and-mortar shops to multimillion-dollar investment projects. What type of business plan do you need? Launching a business is hard. Whether you’re writing a business plan or jumping right into operations, owners bootstrap with the best resources they can muster. In the beginning, that often means going without the guidance of experienced personnel. And marketing, already a soft spot in the monthly operating budget, is typically the last place that owners add staff, choosing to go it alone instead. That means you, Owner, need to change hats here (and fast!) and become experts to develop and articulate a sound marketing strategy to stand out from competition and grab the attention of your audience. But do you know your blind spots? It’s easy to only look through the lens of our own experience, but developing a 360-degree view can help inspire the type of innovation that gets your business noticed – in a good way. Here are a few tips to help jump-start your new marketing mindset. It’s simple but true: You have to know who you’re marketing to in order to be effective. Who is most likely to buy your products, what’s important to them, and where do they spend their time and their attention? This will vary drastically across sectors and business types, depending on what kind of problem your business solves. For example, pizza parlors, corporate security firms, and productivity app developers all solve very different problems for different types of people. Take a few minutes to visualize your audience as individuals and imagine their routines. Knowing who they are, where they spend their time, and what they pay attention to will help you understand what’s important to them and how to positively gain their awareness. Which businesses in your industry do you admire? Which businesses are more aligned with yours as direct competition? Find a few of each and write them down. Take an inventory of their presence in the marketplace--both digitally and physically, if applicable. If your customer base is geographically defined, note proximity to your business site. Explore their websites, social media channels, and note if you see advertisements for their products or services via traditional media. What about these methods resonate with you? What does each cost, in terms of both time and money? Schedule a recurring appointment on your calendar to review this log quarterly until you hire someone to take on opposition research. Now that you’ve gotten thoroughly into the heads of your potential customers and examined tactics that are native to your industry, it’s time to mix things up. Block out two to three hours to dig deep into tactics other industries use. If you operate a business with a geographic customer base, like that pizza parlor, get familiar with Google Maps and explore what tactics similar operators in other regions are using. What do their websites look like? Social media feeds? What do their customers say in online reviews? This type of information-gathering can inspire that one key innovation that no one else in your market is doing. Being a business owner requires you put on the marketing cap to develop your launch strategy and ongoing campaigns, soundly articulate them in your business plan, and then execute consistently to build awareness, trust, and loyalty. You need to come to the table with a full awareness of your customer, what your competition is up to, and plenty of new ideas from other industries or regions. Investing time in the methods above will help you develop the marketing mindset necessary to build winning strategies, lay a solid foundation, and switch hats like a boss. Cat Caperello is a writer & research analyst at Masterplans. What is Mezzanine Financing and Is It Right for You? Can You Get an E2 Visa with Less Than $50,000? I'm moving my business to the U.S.